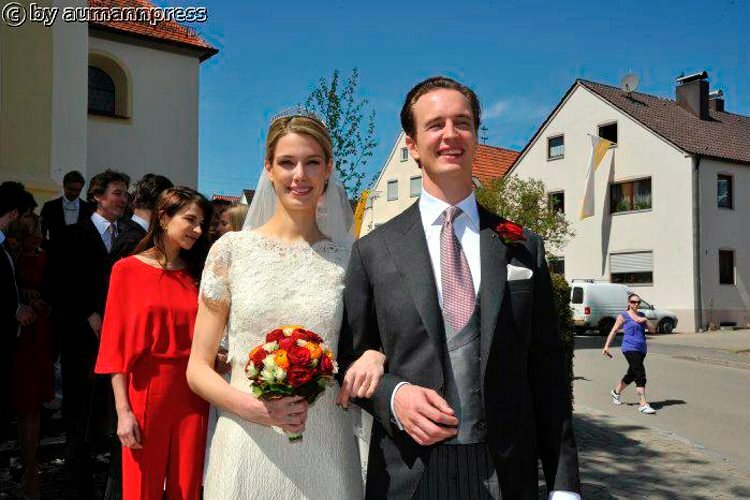 Prince Carl-Albrecht of Sayn-Wittgenstein-Berleburg and Camilla Gräfin Schenk von Stauffenberg were married on April 28 at St Vitus Kirche near Schloss Amerdingen in Kessel. Camilla, 28, will take over her maternal grandfather, Count Alfred Schenk von Stauffenberg's estate at Amerdingen. 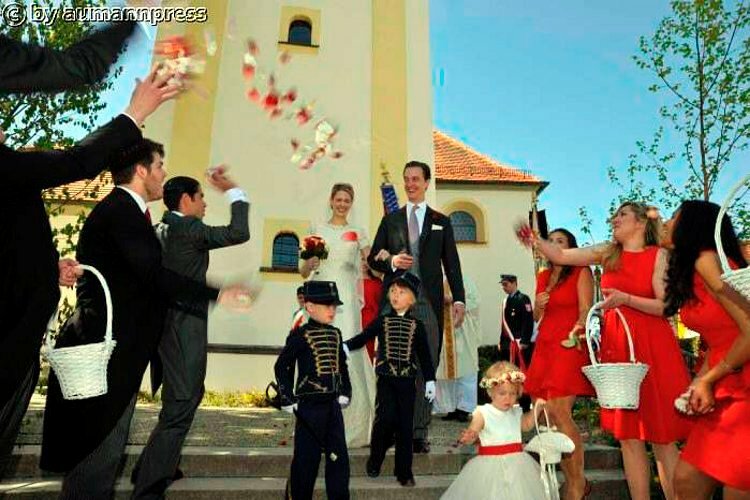 The couple have been a couple for nearly five years, and were first introduced at an event in Tegernsee. The civil wedding took place in March in Munich. Although Carl-Albrecht, known as Charly, and Camilla plan to eventually live at Amerdingen, they will be reside for the time being in Nairoibi, Kenya, where Prince Carl-Albrecht, 35, works for a global energy provider. Camilla has been working as a banker in London. Carl-Albrecht is the eldest of four children of Prince Ludwig of Sayn-Wittgenstein-Berleburg and Countess Yvonne Wachmeistger af Johannishus. His sister, Anna, is the wife of Prince Manuel of Bavaria. The two younger siblings, Prince August and Princess Theodora-Louise remain unmarried. Princess Camilla is the daughter of Conrad Schloesser and and his first wife, Countess Maria Christina Schenck von Stauffenberg. Countess Maria Christina's first cousin, Countess Alexandra Schenk von Stauffenberg was the first wife of the present Prince of Hohenzollern. 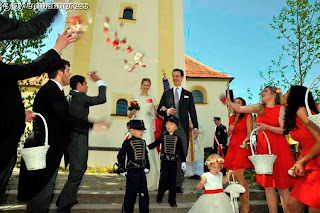 The wedding service was conducted in English and in German. Father Father Paul von Habsburg and Father Daniel Maria Schmitt. After the wedding, a reception for the guests was held in the castle's courtyard. This was followed by an evening dinner and soiree in the castle. Thanks to German photographer Jochen Aumann who kindly allowed me to use these photographs! Thanks for posting links to these wonderful photos of this wedding. Do my eyes deceive me, or is that Princess Beatrice of York (to the left) in photo #57 of your last link?! If my vision is correct - then I am very surprised! I saw that too, and there is a resemblance. But I think the local press would have recognized her. 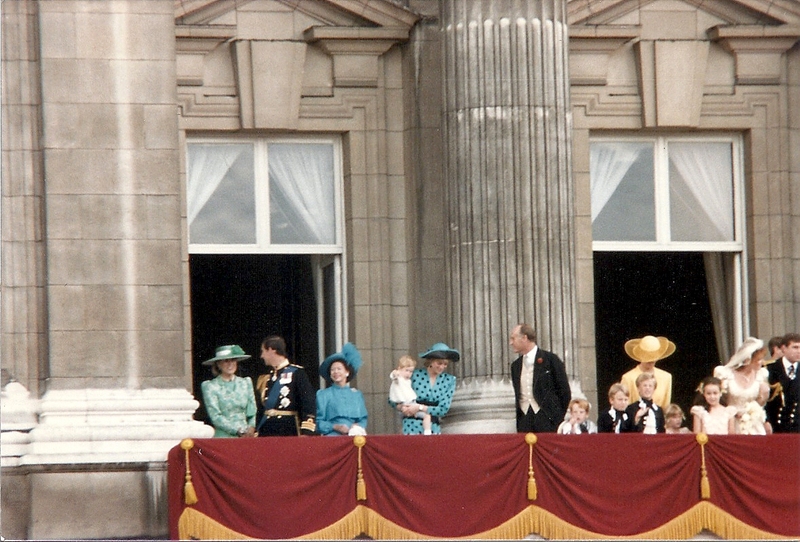 I think that she's really Princess Beatrice, for the boy next to her is actually Princess Beatrice's boyfriend, Dave Clark.